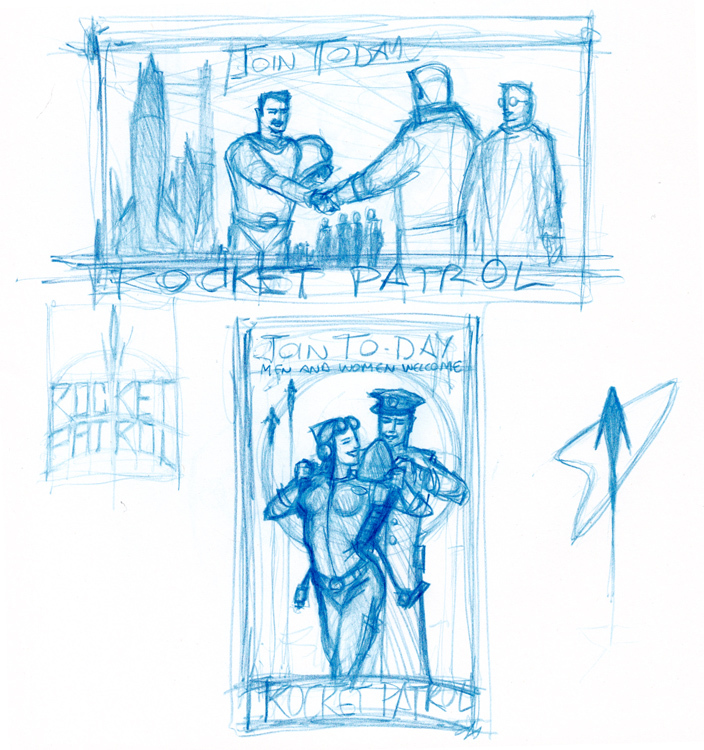 I have a thing for retro posters and rocketpacks, so I’ve been thinking about doing a series of old-fashioned ads for a fiction rocket patrol unit. 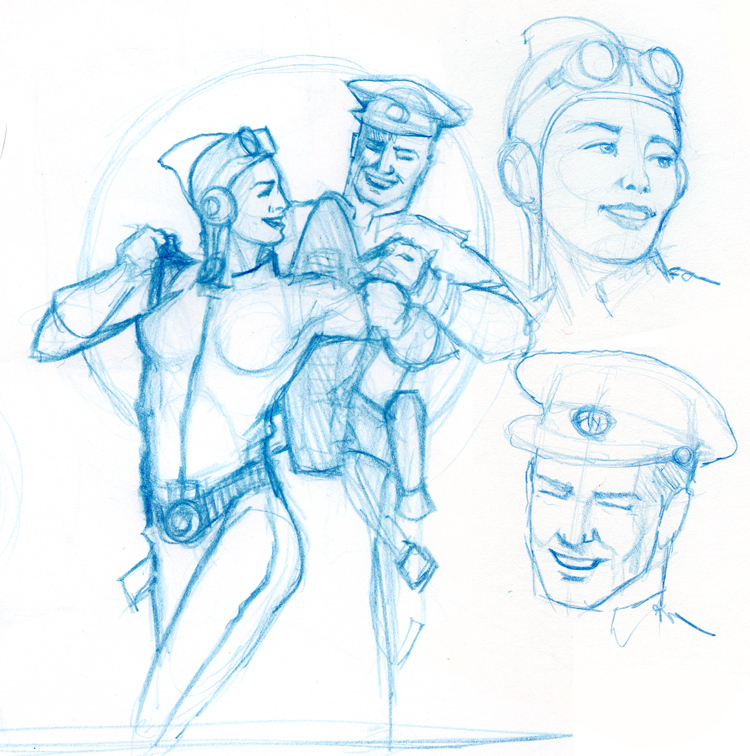 Here are some thumbnail sketches. I want to try doing them in the painting style of J.C. Leyendecker – rough, sketchy oils and late ’20s, early 30s pseudo-deco. I may not go for these compositions, but it’s a start.